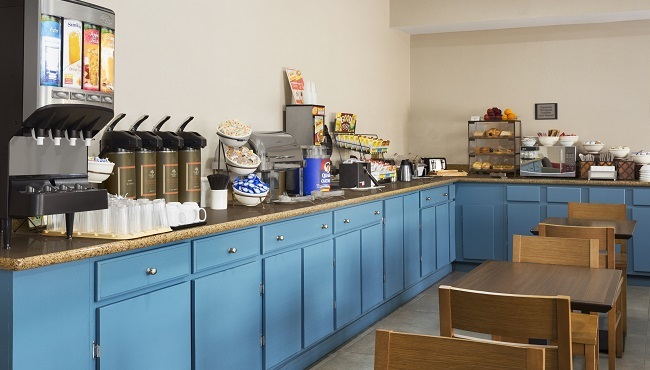 At the Country Inn & Suites, your mornings in Pearl, MS can begin with a wholesome meal thanks to the free, hot breakfast. Build your ideal plate from options that include waffles, eggs, sausage or bacon, muffins and pastries. Dine while you sip fresh coffee and peruse the free weekday USA TODAY® newspaper. For mornings when you need an extra boost, feel free to take a piece of fruit for the road. Later, you can visit a local restaurant like Frisco Deli or Lone Star Steakhouse for lunch or dinner. Weekends/Holidays, 7:00 a.m. - 10:30 a.m.